Note that this article was superceded in March 2019 (only slight modifications). 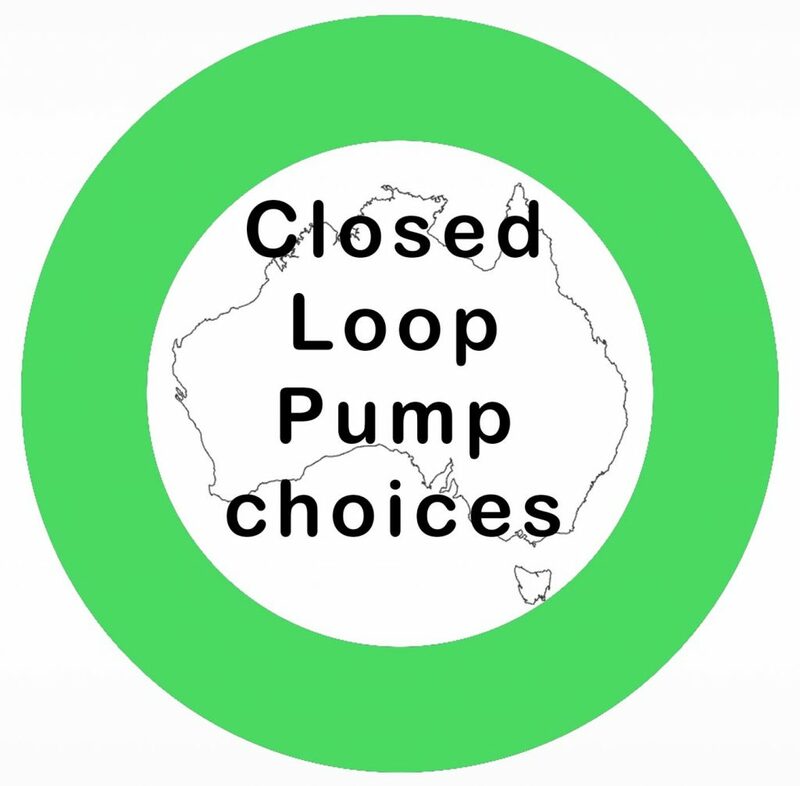 To see the current information, check the Closed-loop pumps in Australia page (which can be found on the menu at the top of this website). We’re talking about a closed-loop system which ties your CGM and pump together so that it decreases or increases insulin flow as required to help maintain your target glucose levels. Not all pumps can do this. All this discussion is written with the Australian environment in mind, and especially in the context of my November 2018 pump landscape report. If you want a commercial closed-loop system, at the moment you have to wait for the Medtronic 670G‘s CGM to be approved by the TGA. Or Tandem’s t:slim X2 is likely to be getting a “control-IQ” firmware update with something similar: possibly by late 2019. Or you might decide to build your own “DIY” loop system using a compatible pump, and start looping now. These are currently “class-leading” in terms of features compared to the commercial offerings we know about. But you need to take on responsibility for building and running the system yourself. OpenAPS runs on a pocket Linux “rig” computer. AndroidAPS runs on an Android phone (even if it doesn’t have a SIM or network connection). But for now this is mainly an overview of the pump choices without going into all the ins and outs of each system. All of the following systems can be used with Dexcom G5 (and G6 when it arrives) and Libre (when combined with MiaoMiao/Nightrider/etc devices) CGMs. The pump itself doesn’t have to talk to the CGM: the loop controller does that. It is possible (but not convenient) to use Medtronic’s Guardian2 CGM (as used on the 640G pump) to drive a loop, but that involves carrying a lot of extra hardware. With several pumps the older Medtronic Enlite/MiniLink CGM can also be used. You can purchase a new Accu-Chek Combo and use it with AndroidAPS. This is the pump & loop I’m currently using. You can purchase a new DANA RS and use it with AndroidAPS. However Managing Diabetes Australia are a small company trying to re-establish a small network of reps and basic support infrastructure. They did not cover themselves with glory when they were distributing the earlier DANA R pump: hopefully they will do better this time. Or you can decide to use an older out-of-warranty pump. The DANA R and Accu-Chek Combo both work with AndroidAPS, and the Medtronic Paradigm (515/715/522/722) or Veo (554/754, with firmware version 2.7A or earlier) can be used with OpenAPS or Loop. The older Medtronic Paradigm 512/712 pumps can also be used with OpenAPS, but are missing a few useful features. If you manage to find an American Medtronic Paradigm Revel (523/723) with firmware 2.4A or earlier you can use that too. If you use a Medtronic 522/722/554/754/523/723 pump, you have the option of using Medtronic’s old CGM that links to those pumps (using a “MiniLink” transmitter). Note that Medtronic Veo pumps with firmware 2.7B or later can not be used for looping. As mentioned, the Medtronic 670G will eventually get its CGM into Australia and start being able to loop. Note that the loop design of this is quite a few years old at this point, and is dependent on Medtronic’s own CGM. Tandem have their closed-loop system in the works for the t:slim X2, using the Dexcom G6 CGM. It is probably still at least a year away before it gets here, as it’s still undergoing trials in the US and France. Diabeloop is a French company who has just received European approval for its system, which looks like it may use Kaleido “patch” pumps and a locked-down controller device talking to a Dexcom CGM. This system has been in development for years, but it’s still early days. We will continue to watch its development in Europe, but it’s hard to imagine any Australian deployment at the moment. Meanwhile, the DIY systems will continue to evolve. Tidepool is a US company who is branching off a version of the open source Loop system (which runs on iPhones) and plans to apply for FDA approval to use it with Bluetooth LE enabled pumps. Their first target seems to be the OmniPod DASH pumps (note that we’re unlikely to see OmniPod pumps reach Australia). Presumably they are also intending to work with other BLE pumps in the future. Tidepool Loop will share a lot of code with the opensource Loop system, “cross-pollinating” development in both directions. I know lots of development is continuing in the open source projects, although there are no timeframes on expected results. It might take months, years, or some of these might not eventuate. But I’m aware of work being done to get AndroidAPS to work with the old Medtronic pumps (via the same RileyLink device that Loop uses), and to add support for more Bluetooth-enabled pumps to all of OpenAPS, AndroidAPS, and Loop. The Ypsopump is on this list. But for now the options in Australia are listed above.